Don't worry: JLR's not dropping the swish sedan anytime soon. Managing car factories can be quite a complicated task. For maximum capacity facilities, such as Toyota's San Antonio plant, you've got process streamlining and the eking out of efficiency to deal with. For the stragglers, the pressure of needing to produce X amount of cars in order to break even is the defining aspect of said facility. As Jaguar Land Rover has just demonstrated, though, incredible demand for specific models can cause a few brief headaches for the factory head honchos. 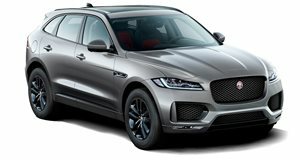 To summarize this scenario, it very much appears that Jaguar Land Rover had far too many models types being produced at its Solihull factory to keep up with the customer order requests - with a lot of this seemingly being down to the incredible popularity of the Jaguar F-Pace. 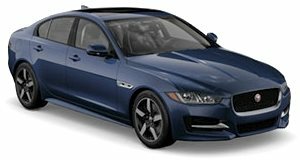 So, with so many other SUVs being produced at Solihull (which will soon be joined by the new Land Rover Discovery), it makes sense that the only non-off-roader fabricated at the facility in the West Midlands - the Jaguar XE sedan - would have its tooling moved to the primary Jaguar plant in Castle Bromwich. In a move that perhaps partly helps in the XE's transition to Coventry's most famous car factory this side of the long since gone facility in Browns Lane, Jaguar Land Rover is investing $130 million into Castle Bromwich, with this substantial amount of money going into stuff like body shops and even entire assembly halls. Better still, this new investment just goes to show how far Jaguar and Land Rover have come as of late. Ten years ago, Solihull and Castle Bromwich were close to being decommissioned, and now they're thriving production facilities at the peak of their game thanks to new models and money heading their way. It truly is one of the great motoring turnarounds of the century so far.